Carfax certified, local 1-owner car. Non smoker, never in any accident and still in excellent mechanical and physical condition. 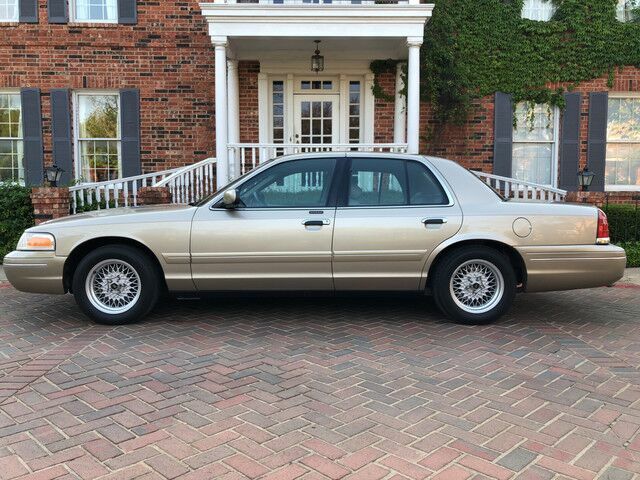 Riding on a very nice set of tires, this Crown Vic will deliver a very comfortable ride and drive. Come out for a closer look and take it on a test drive. My name is Sam. Mondial has been in business since 1997. Most of my cars are local new car trades at high end stores from around our Metroplex. I care about my customers, and I am proud to offer very nice vehicles for reasonable and competitive prices. Check out my reviews on Google and Yelp. I can assist you with transportation and shipping. Extended warranties are available on most cars and trucks. To view our inventory, visit us at: mondialautosales.com Our address is 1140 W Division st, Arlington TX 76012. (SE corner of Division and Davis, just west of Cooper st ).